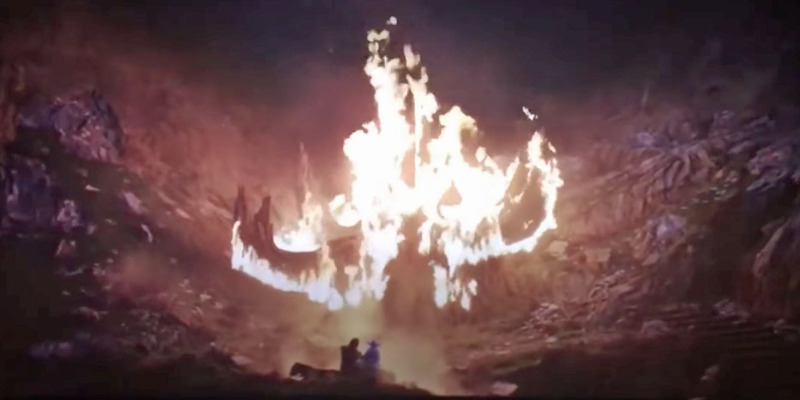 The burning tree scene in “The Last Jedi” was a practical effect – they really lit a fake tree on fire. It took months to build the tree, and close to 25 separate gas lines were rigged to it to have the tree burn to director Rian Johnson’s liking. 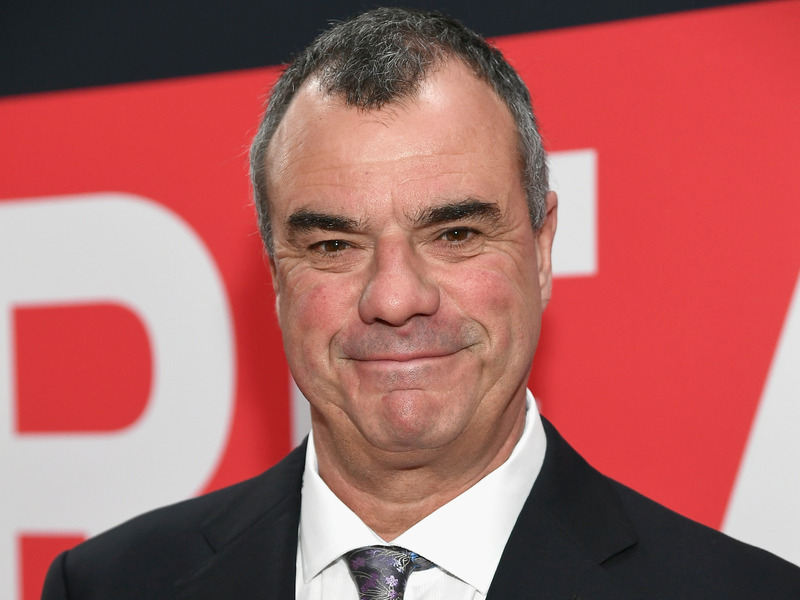 Special effects supervisor Chris Corbould explained to Business Insider how the scene was pulled off. In an era when you assume anything amazing that happens in a movie is courtesy of computer-generated imagery, it’s always exciting to learn when a memorable scene was pulled off by practical effects. Since the “Star Wars” prequels, in which George Lucas was heavily criticised for using too much CGI to create the worlds and characters, many big-budget movies have tried to find that happy medium of practical and visual effects to give the action on screen a more grounded feel. And the now Disney-owned “Star Wars” saga is leading the way. 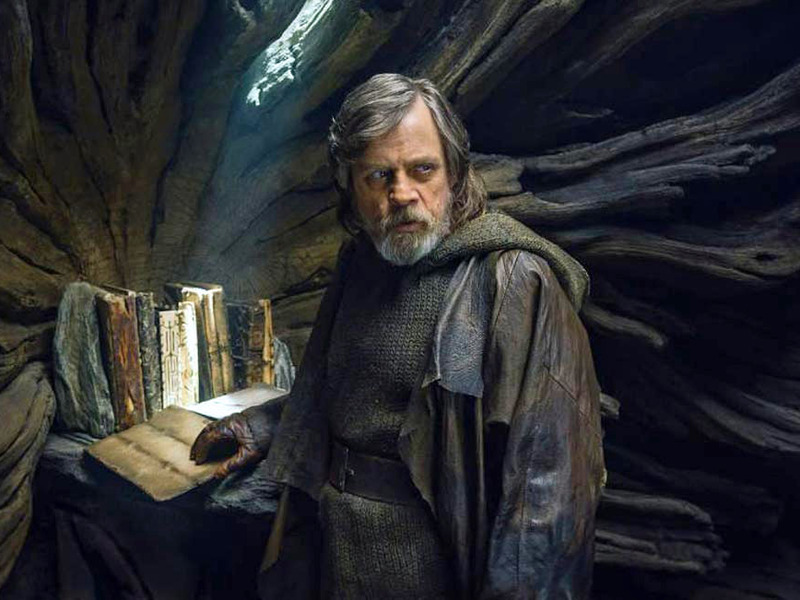 A perfect example is in “The Last Jedi” (available on digital release Tuesday, on Blu-ray/DVD March 27) when Luke Skywalker (Mark Hamill) attempts to burn down the giant tree that holds the sacred Jedi texts. It’s a scene that also features a Force ghost of Yoda. When Skywalker tells the legendary Jedi master what he’s about to do, Yoda doesn’t talk him out of it. But when Skywalker gets to the giant tree, with flame in hand, he can’t go through with it. This leads to Yoda summoning a giant lightening bolt that strikes the tree and engulfs it in flames. He then delivers his famous giddy laugh as Skywalker looks on in complete shock. Disney/LucasfilmLuke Skywalker inside the tree holding the sacred Jedi texts. Almost all of that scene is done with practical effects. From the puppet of Yoda, voiced by Frank Oz, that Hamill traded lines with, to the enormous tree and giant flames shooting from it. Responsible for some of the greatest visual effects pulled off on screen in the last 40 years, he’s done everything from James Bond movies like “Moonraker” and “GoldenEye,” to Christopher Nolan’s Batman trilogy and “Inception” (which he won an Oscar for). He’s now hit the effects industry mountain top with getting the “Star Wars” gig (he was also the effects supervisor on “The Force Awakens”) and the Yoda/Skywalker scene for him is one of his favourites. There’s the nostalgia of seeing Luke and Yoda on screen again, but also the pride of pulling off a practical effect of this size. “It was a tricky one,” Corbould admitted to Business Insider. First, there was building the tree and rigging it to burn. Corbould said it took a couple of months for the construction crew on the movie to build the fireproof tree that was almost 60 feet high and close to 50 feet wide. It was so big that the tree could not be built on the set. “They had to assemble it in various parts,” Corbould said. So the tree was basically a very large Lego set. A piece of a trunk would be built on set, then another piece of the trunk would be brought in and attached to that. Then the multiple branches were attached one at a time. After all that, close to 25 separate gas lines were put into the tree, each one with its own valve so Corbould and his team could adjust the flame to his and director Rian Johnson’s liking. The tree burning scene was shot over two nights with a crew of 20 people just responsible for the tree catching on fire. Most of the shots pre-fire were completed on the first night. The second night was for the shots after the tree was on fire, which included Hamill, the Yoda puppet, and Oz voicing the character in front of the giant burning tree. And it got hot – to the joy of everyone on set. The tree was lit on fire close to 30 times by the time they wrapped on the scene, according to Corbould. The special effects veteran laughed when he was told that many people probably think the tree fire scene is just another dazzling VFX feat by the wizards at Industrial Light and Magic. Corbould added that some of the excitement for him is seeing if a practical effect could even be pulled off. But in today’s moviemaking landscape, it’s what’s done on the VFX side that has really upped everyone’s game in the special effects profession.